Chhindwara city is located in South-west region of Satpura in Madhya Pradesh. The name Chhindwara means the abode of palms “Chhind” means date palm trees and “wada” means place. It is believed that the city got its name Chhindwara because of the abundance of date palm trees. The place is is still adorned by lush green surroundings with many rivers. There are a number of Chhindwara attractions like Patalkot, Tamia, Tribal Museum, Chota Mahadev Cave, Devgarh Fort and many more. Some of the regional festivals of Chhindwara like Pola, Meghnath, Bhujalia and Akhadi are celebrated by people with a great pomp and show. Chhindwara District was full of "Chhind" (Date-Palm) trees, and the place was named "Chhind"-"Wada" (wada means place). There is also another story that because of the population of Lions (in Hindi it is called "Sinh"), it was considered that making entry into this district is akin to passing through the entrance of Lions' den. Hence it was called "Sinh Dwara" (means through the entrance of lion). In due course of time it became "Chhindwara". 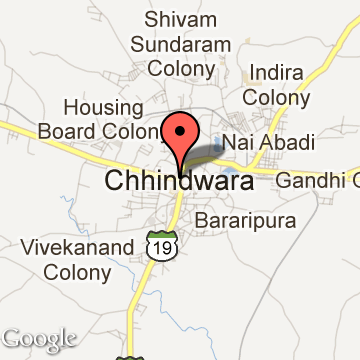 Chhindwara Tourism - Get all information on Chhindwara tourist places and sightseeing tours. Our website helps you plan your next tour and gives you great ideas on what to do, where to eat, where to stay and when to go there. We give the best information from the web to give you precise, meaningful and useful travel guide for leading places to visit in India and from across the world. Our travel information on CHHINDWARA tourist places, tourist attractions, major sightseeing, the best time to visit, the top places to visit in Chhindwara, the must-see things to see and do, maps, restaurants, hotels, nearby tourist destinations, local public information and more. To start with check out information on how to reach Chhindwara.